It's amazing seeing all the anger in some of these posts, I'd love to see how angry these people get when presented with real problems that actually affects their lives. 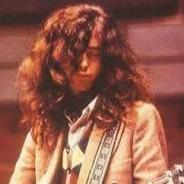 When you sell 350 million records and form the greatest band of all time, like Led Zeppelin did, then release a massive peerless catalog with not a clunker in the bunch, a catalog so good it makes most other bands look like pathetic, as well as becoming the #1 most influential guitarist, producer, and songwriter in popular music history, as Jimmy Page did, then you can release whatever you want too. Nobody's stopping you. Well, if Jimmy comes out with his Argyle Sweater Vest, I'm game. I've been wanting one since @ 9:00PM EDT 09/19/1970.